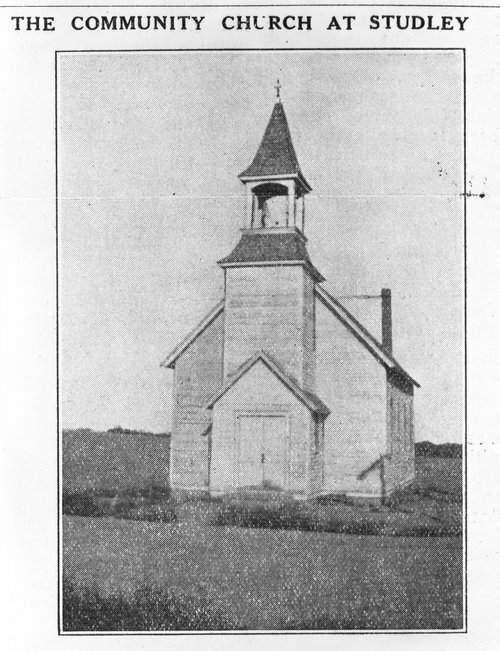 This photograph is of the Community Church in Studley, Kansas. It is from a newspaper or other publication. Father Lemm-Marugg held services there.